Personally, I find it mind-boggling that companies use open spaces to the extent that they do. I'm sure they work for something, but not for me. I've resigned two jobs when they moved me from an office to an open plan seating arrangement. I simply can't function under that sort of condition, with constant interruption and no privacy. Thanks, David. I'm sure much of it is personal bias, and also the way it is implemented, and most importantly the style of work. 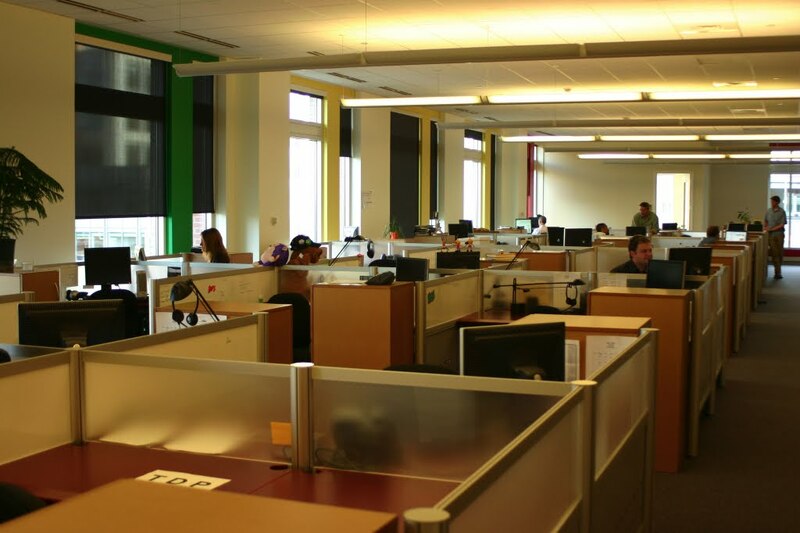 If you work closely in a team, such spaces optimize for the team, rather than the efficiency of the individual. Some of the examples show open plans that have many teams in the same huge space - I think for most teams the optimal setup would be a team room or space that gives them the opportunity to redesign it to match their changing needs. The half-height partitions Richard Cheng recommends are, in fact, a huge improvement over the full-height ones. They allow communication and sharing while providing for some sense of privacy and personal space. I've personally worked in such spaces, and that's what they have at my current client, and they work well. Having said that, try not to erect barriers between people where before there weren't any. 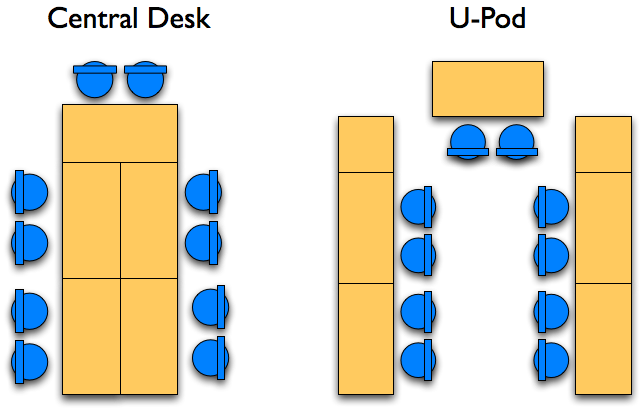 I tell this story in my book, where two developers, who used to sit on the same side of a half-height partition, were moved to another part of the floor and placed on two sides of a similar partition. They told me "We used to talk ten times as much!" (they were quite upset about the change). Really liked these collaborative office spaces. Was very happy to find nice meeting rooms and conference hall with great facilities in list of meeting space San Francisco venues. They are very awesome and provide best facilities for office meeting. Have arranged my office meeting there and was happy to get best services.